Apple just announced its latest MacBook. It’s tiny. It makes the Macbook Air look like a Dell Inspiron circa 2002. But hopefully you’re not one of those jerks that actually uses the ports on the side of your computer. This MacBook only has a single USB-C and it does everything from charging, to sending video out and transporting data. It’s the only port on the computer meaning owners cannot charge the computer and an iPhone at the same time. It’s not possible to output video to a monitor and input data from an external drive — at least not without a hub. This single port was likely the byproduct of Apple’s quest to make the thinnest MacBook possible. Ports take a lot of room. Thanks to their physical structure, the female jack cannot be made that much smaller. This isn’t the first time Apple threw out industry standards. In 1998 Apple shocked the industry and didn’t include a floppy drive or serial ports in the iMac G3. 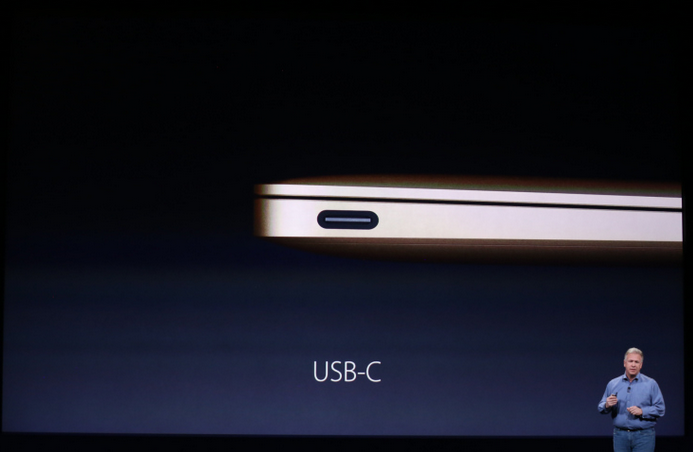 Instead Apple included a CD-ROM and two USB ports. In 2008, much to the chagrin of video producers, Apple stopped including Firewire ports, a standard it created, on its computers. Apple did away with CD-ROM drives as soon as it could and completely ignored Blu-ray. But has Apple gone too far here? A single port, one that charges the computer along with much more, forces the owner to turn to other devices to use their devices in familiar ways. Apple doesn’t rely on the industry to dictate what should be included in its computers, consumer be damned. Here are the cables and accessories you’ll need for the MacBook.